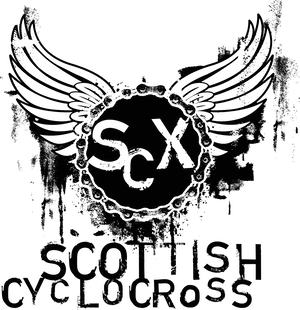 Here we go, the inaugural Rouken Glen Cyclocross (RGCX) is just a week away. Welcome to the rider information pack. HOW DO I GET TO RGCX? 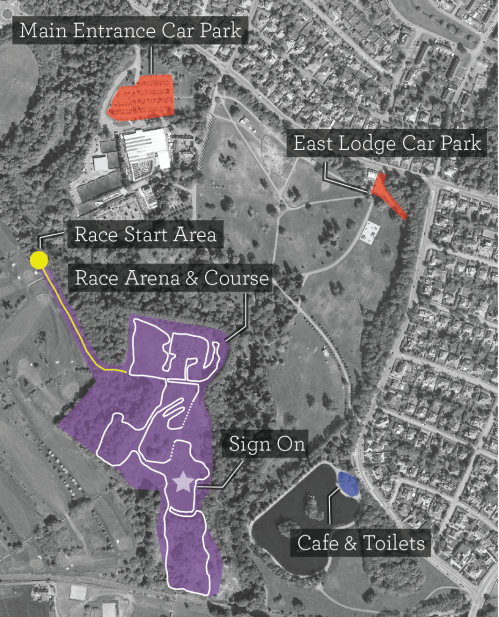 RGCX, in Rouken Glen Park, just 10km south of Glasgow city centre, bound the west by the M77 and to the south by a railway to Glasgow Central has to be one of the most accessible cyclocross courses in Scotland. There are two free car parks in Rouken Glen Park; the main one at the garden centre and a second one at the east lodge (veterinary surgery). The map at the bottom of this pack indicates their location. RGCX has it’s very own train station, Whitecraigs which has trains travelling into Glasgow Central. Trains typically take 20 minutes to get to Whitecraigs from Glasgow Central. Once parked up please make signing on to receive your timing chip and race number your priority. Everything after that will fall gloriously into place. There will be signs guiding you to the RGCX arena from the car parks. Can I ask kindly that the A racers wait until 10.30 to go to sign on to allow the B racers to sign on first. The sign on will be in the race arena just near the waterfall in the south of the park. It will be under a Dales Cycles gazebo. It’s marked on the map below by a purple star. Please make the most of the open course for practice and respect other competitors by leaving the course once it is closed. Announcements will be made to confirm when the course is open and closed. In an attempt to get a good spread of the field at the start and to mitigate bunching at the first turn we’ve an uphill ‘tarmac’ start chute. Think Spa-Francorchamps, just a bit more glamorous. This will be the only time you come up this hill. Getting there is easy. From the sign on area you will notice a gravel track heading west, away from the waterfall. Head along that; it takes you along to the golf course. Continue down the track and it will disappear down the hill quite quickly. There’s a slight opening at the bottom where it starts to level out. There will be signage and grid lines on the ground to indicate the start area, please continue past that to the muster area. This will be about 50m past the start line. Please wait there until you are called up to the start line. Please make your way there 15mins before the start of the race. A marshal will be on hand with a big bucket to take jackets etc. which you can collect at the sign on tent post race at your convenience. Again this is marked on the map below by a yellow dot. Grassy, gravelly, muddy, rooty, hilly, rad, repeat. Have a look at the course map below. There are public toilets at the back (roadside) of the Boathouse Café situated on the eastern side of the boating lake (see map below highlighted in blue). The Boathouse Café has said they are happy for muddy cross hooligans to go over get warm and get some food (see map below highlighted in blue).WHAT HAPPENS IF I WIN? YOU GET PRIZES! Cash prizes will be given for the top 3 riders in the A race and for the top 3 male and top 3 female riders of the B race. Prize giving will take place for both the A & B races straight after the A race. CAN MY FANS COME TOO? Yes of course, please bring as many fans, friends, personal photographers, past lovers, colleagues as you like. Please encourage them to bring instruments of all ilk to make a racket and encourage you and your fellow racers. Yes of course, please bring encourage all you photographer pals to come along. Cyclocross is definitely the best form of cyclesport for photographers, loads of weird and wonderful stuff goes down and you see riders again and again throughout the race. This year, borrowed from my brothers that bring you DIATD, I’m excited to announce, and also as a matter of courtesy, that we will have a drone pilot and videographer filming the races. I believe this is a first (don’t tell me if I’m wrong, I like the bragging rights) for Scottish Cyclocross and is definitely going to boost the promotion of our beautiful sport. Look out for the videos post race!